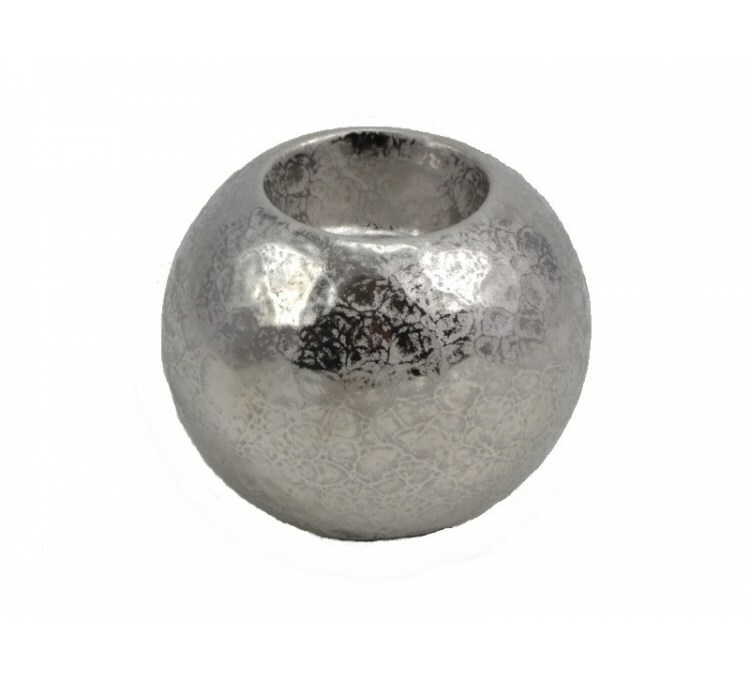 We offer the silver candlestick Sylver, which will bring a note of elegance to your interior decoration, and you will have a candle for a soothing atmosphere. Discover the silver candlestick Sylver, an ideal decorative accessory to bring a touch of elegance to your furniture or your table. An opening is provided to install a candle, also bringing a relaxing and soothing atmosphere to your interiors. The Sylver candleholder is 11 cm in size without a candle, making it discreet. The notch is wide enough to accommodate large candles. 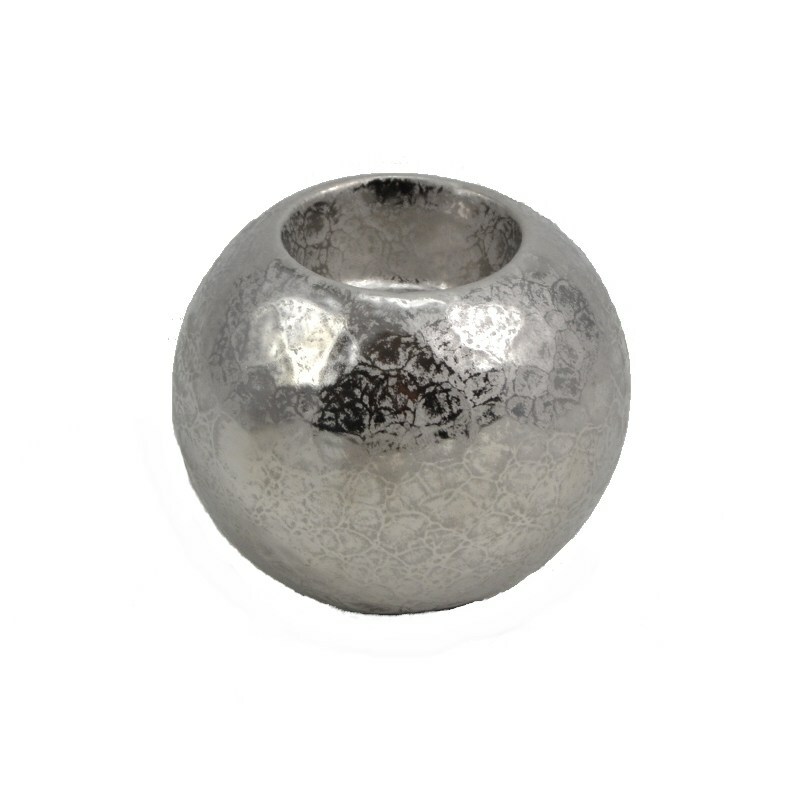 Thanks to its spherical shape and its silver color, this product can be both discreet and elegant, and blends easily into any interior decoration. They are made of porcelain, so their surface is very easy to maintain.